Download Hour1 Download Hour2 This week,we begin with a talk from the most senior NSA whistleblower you've probably never heard of, Diane Roark, who doesn't mince her words about what the NSA are really spying on. As we hear, the deep state made reprisals against her but were unable to pin anything on her. 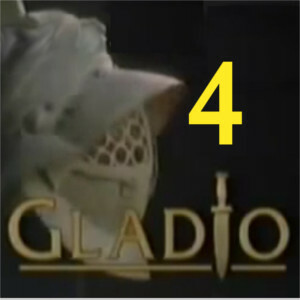 We conclude the show with the final of our 4 part adaption of Allan Francovich's Operation Gladio. One question that we have been reflecting upon as we have heard Allan Francovich's film on Operation Gladio this last couple of months is, whether false flag terror will continue to prove possible in this age of mass communications. It remains to be seen - but it is perhaps no coincidence that since 9/11 no similarly scaled acts of false flag terror have been organized. While the deep state undoubtedly control a surveillance infrastructure unparalleled in human history, simply monitoring what is being said is not sufficient to stem revelations about false flag terrorism as long as some people are determined to tell the truth whatever the consequences. We being the show with one such whistleblower, Diane Roark, who only at the very end of her 17 years on the House Intelligence Committee learned that the NSA was engaged in massive and illegal programs of mass surveillance. She makes quite clear that whatever you may have heard from the commercially-controlled media about 'metadata', the NSA was collecting all the data it could, limited only by technical rather than legal restraints. As we hear, the deep state reprisals against her included unsuccessful efforts to frame her. We conclude the show with the last 80 minutes of Allan Francovich's film on Operation Gladio, which focuses on the Brabant Massacres. Thanks to Olivier for pionting me to the Diane Roark video. This page was last modified on 16 February 2016, at 06:51.